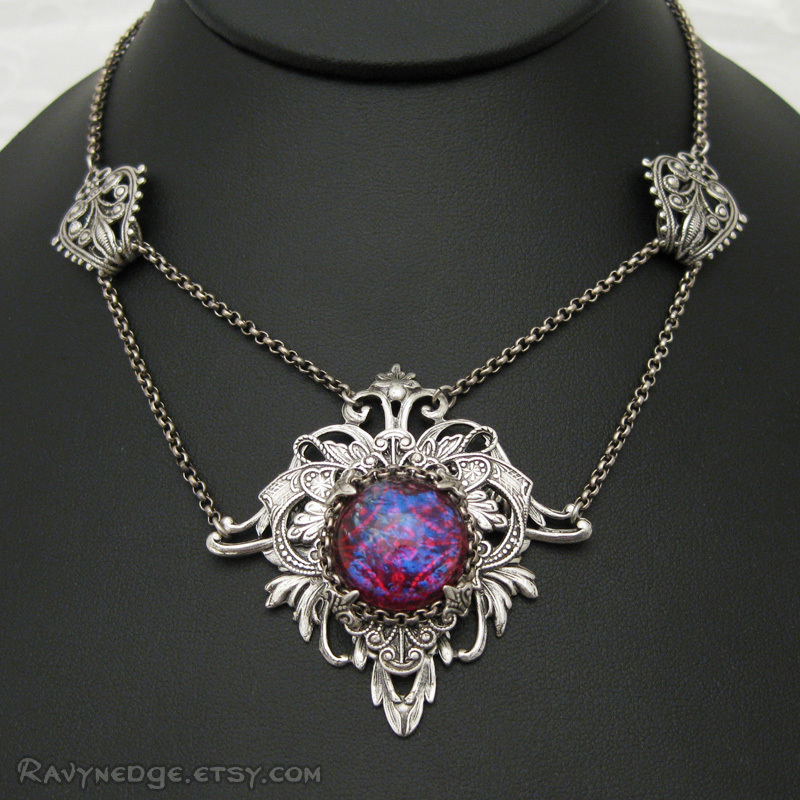 Fires Of Eden Necklace - Dragon's Breath and Silver Filigree Pendant by RavynEdge. 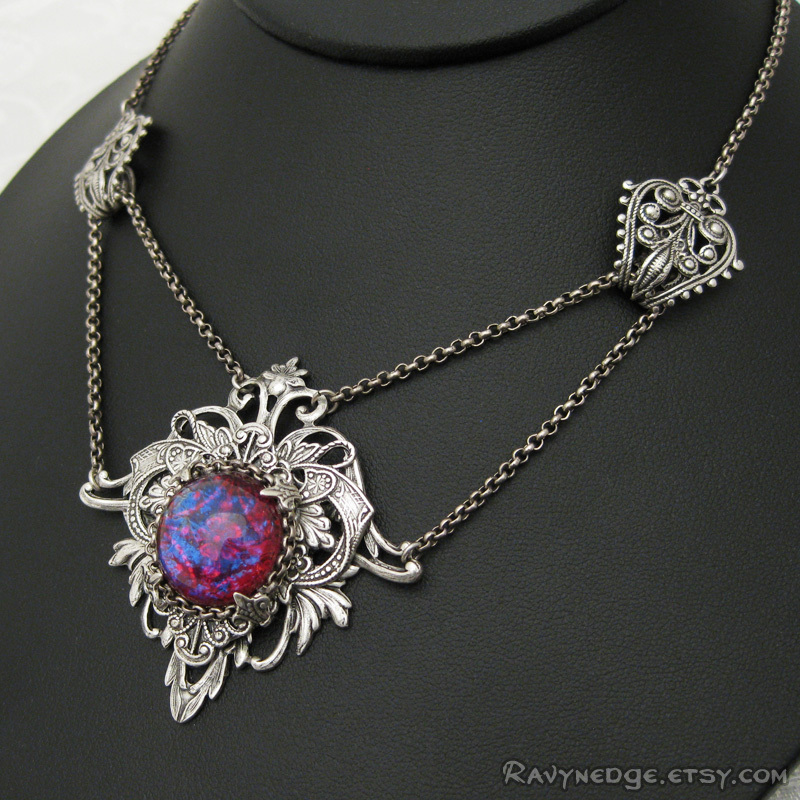 Through the "fires" of the mexican fire glass opal, also known as "Dragon's Breath," you can see the floral detail of the sterling silver plated brass filigree that creates the setting for this magnificent jewel. 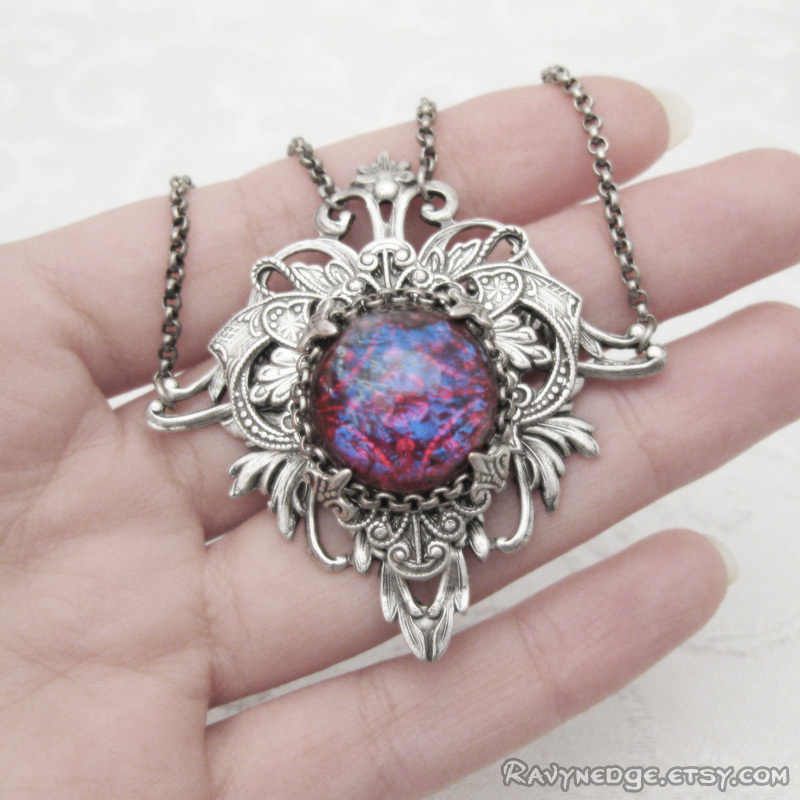 The mexican fire opal or "Dragon's Breath" is one of my favorite stones because of the beautiful blue "fire" that flashes through the reddish glass. The fire within changes with the lighting. 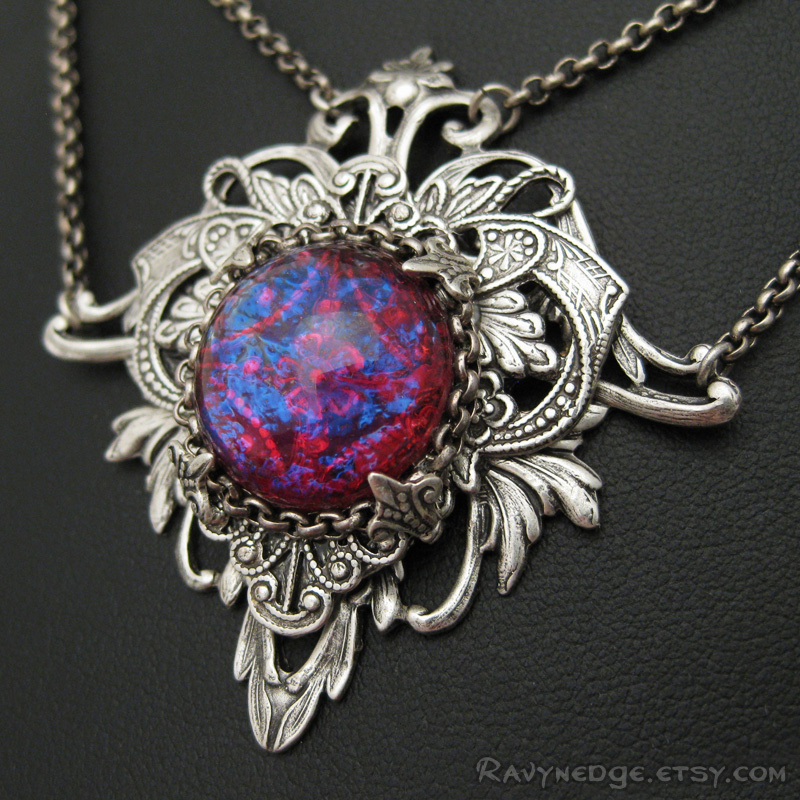 Each of these glass opals are one of a kind and the photographs really don't capture their true beauty. The centerpiece measures 2in (52mm) in height and width. 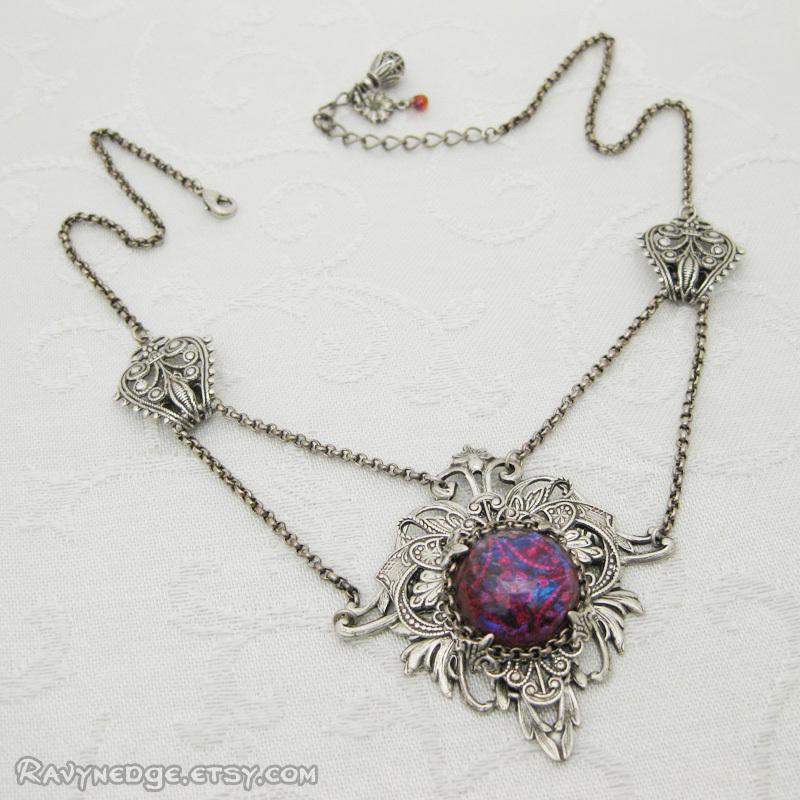 The necklace adjusts from 16 inches (40.6cm) to 18 inches (45.7cm) with a lobster clasp and extender chain.